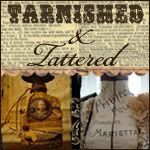 tarnished and tattered: Class has begun! They were very proud of their new lunch boxes. My first class at Maureen's was last Thursday. She turned a storage room into the cutest little classroom! I love the sheet music decoupaged on the table. A closet turned snack room. Crazy about the muslin curtains! The whole room is an artists dream room. Before long the table looked like this. Terri, Cindy & Jan sorting through the vintage elements. Every one's work was totally unique, reflecting their individual style. Here's a closer look. Layers of lace & a touch of blue! My dear friend Lori, from Katie's Rose Cottage created this awesome collage. I love how she turned Dawn's little shoes into ballet slippers. A self proclaimed perfectionist, she finished this piece in a little over 3 hours. Susan loved the pink items from my stash & made pockets from the lace! Maureen, Lori, Cindy, Terri, Jan, Erica & Jan for sharing a night of creating & fun! FYI- I'm teaching a second class of Elements of Collage on Sunday September 11 beginning at 9:30 am. There are 3 spaces left if your interested. You are such a rock star, girl! Your classes just get better and better, Wicked Tea is gonna be off the charts. Chronic bed head, ROFL! Me too!!! I just love your blog... So Inspiring!!! First, your little "creations" are just the cutest kidlets! All shiny and ready for school. I love it! All your students must have had a ball. It appears that they were truly inspired by your class. Those collages are just wonderful- even the table looked great with all those sepia and cream pictures and lace and other goodies. 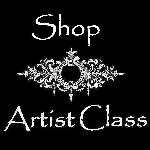 I WANNA TAKE YOUR CLASS! Kiddos are darling- hope YOU survived their first day of school. Oh I wish I was there...I just love those collages! Every one is fantastic. Oh my gosh - what a wonderful class - those collage treasures are out of this world - that is one talented bunch of ladies! Great job Lisa!!! I wanna' go! I wanna' go! This is the sign of an excellent teacher - your students' projects are just gorgeous! I'm so glad you shared these with us. Your kids are sure cuties, Lisa~ all three starting school on one day...I'd have three times the tears... The class projects all look wonderful! Your class looks awesome Lisa - everyones collage is so beautiful. I love those little shoes and all the layers of lace being used. Lisa love your class, -love the beautifull boxes you had prepared for all, with all the wonderfull stuff inside.And they certainly made the most beautifull collages,all -how special it must have been, learning with you, sweetie. Oh, wow! Look at those bright eyed children....all ready to begin a new stage of their life =) Yes, I know how you feel Lisa...I felt it oh....about 34 years ago! LOL...Seems like much longer than that, but then again not that long ago. What a great place to create....I would love to teach there. How could it not be wonderful??? Love the pieces the ladies made~beautiful work reflecting what is in each of their hearts! I just keep saying it, you gals in Texas have all the fun! *sigh* What else can I say except that I wish it weren't such along trek from here in PA to TX! I'd be camped on your doorstep regularly begging to go junking and crafting! This looks like it was a blast. Everyone's creations are just beautiful! Talk about wide tailed and bushy eyed...they look like they have the 'tude to take on the world. How 'bout you...when did you stop crying after they were safely in class? What amazing results! You must be one heck of a teacher. Did your students bring an apple...I mean lace to the teacher? Why don't I live in Texas??? I want to take your class, my friend. I love the amazing work everyone did - just gorgeous! And your little ones are adorable. Can it really be time for school already? love the first day of school pix. your kids are A-DOOR-A-BULL!! (your teaching skills ain't too shabby either! ) :) Happy day mon amie! Sooooo wish I could take this class with you!! I wish I could call you and get the low down of all the FUN! We are so busy but I WILL run in the closet and call you when I get the first chance I get!!!!! Dang I miss you. I having the "Lisa Heaves" but most of all, that photo of the chilllrrren (MY angels) just melted my heart and put a huge smile on my face! I would so love to take that class!!! Everyone's collages are gorgeous! Your little ones are adorable! Hope they had a great first day! What a big day at your house...I hope they had a great time at school!! The collages are all so beautiful. So much talent, such a good teacher! Looks like everyone had a great time and the beautiful treasures that everyone turned out. You have to be good girl for everyone to make beautiful like that. I know how good you are, since I was in one of your classes. You're Great!! Hope you and the kids had a great first day of school. This is the first day of lots of wonderful memories of them in school. And hold on to your hat because time is going to start flying for you. I think you can count on Christmas next month, at least it will seem like that and school will be out for summer in no time. But it is a fun ride so enjoy every minute. What a neat class to take! Very creative on the collages. The kiddo's looked adorable! I'm sure they did just great & you will too. As for the class I am PEA GREEN!!! I so wish I could have been there. It's so my thing. I WOULD HAVE LOVED IT! But, as you know right now I have my hands full & I don't think they'll be empty by Sept 11. DARN! I also can't wait to go see Maureen's shop. It looks adorable! HUGS & I miss you. I have gotten to see Carolyn twice since I've been up here. Now I know why the good lace is getting harder and harder to find---it's all living in TEXAS! Part of the stash went into making these gorgeous collages and the rest is probably in your suitcases! But the sweetest treasures are in that first photo...priceless. Brings back so many wonderful memories of when mine were that little. i think i am going to get in my car and pick up beth on the way and take your class. those are just precious and adorable. i love them and love your colors...and the goodies you gave them to work with are incredible! speaking of precious and adorable, those kids of your are so darling. they each have their own "style" with their clothes and backpacks and they have the freshest looks on their faces! p.s.i really can't come but, my gosh, you have so much talent flying around in texas! 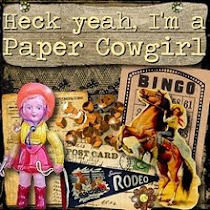 paper cowgirl must be amazing. Oh, Lisa. Your triplets are just ADORABLE!!! 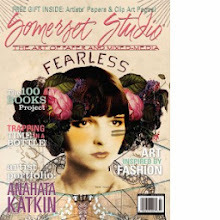 And those fabric collages are gorgeous and so inspiring. How I swoon at such yummy creations. What is the round glass/plastic dome? frame? Its so cool! LOVE the class and everyone did an amazing job! The class room is so cute and inspiring. You are one talented Mamma! And you didn't think you could teach. Lisa, God has great plans for you as he uses you as an instrument to fill people's lives with beauty. I think of you often and would love to come to one of your classes and it's actually possible as one of my "little girls" has moved to whitney. put me on a mailing list? how do i find out the next time you're blessing women? Gosh how I would have loved to play along in your class *sigh* the results are amazing! And that studio looks wonderful too! 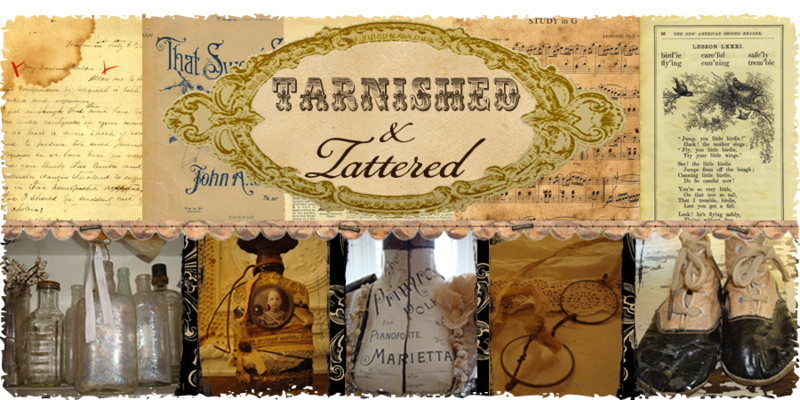 Love the sheet music paper decoupaged on the table so much! Oh and the pretty settings with the round silver trays! I wonder if the round parts are made of glass or something more light weight and how do you make them hold/stick, are they glued on the collage? I luckily came across such pretty round glasses in two different sizes at our flea market lately and am currently making little collages to put under them and then solder them under the glass. So fun! Wishing you and your family a very happy weekend! You can tell by the work of the students that they are not only talented but that they had an awesome teacher too!!! Congrats on surviving those jitters! Have fun on your next class and have a great weekend! I hope the kids enjoyed the first week of school. This class was so much fun, and I can't wait to take another one with you! Your class looks like so much fun, Lisa!!! The results are just beautiful and the girls must have been very happy about their creations. That means you are a fabulous teacher! I certainly would love to play with you and your stash as well :-). What a great "storage" room! It's larger than my studio. Have a wonderful weekend, girl! what a great class! I would love to attend one of those, to bad I live so far away! Are you coming to Theresa Cano's blog party at Zapp Hall, I would love to meet you! What precious children you have been blessed with. Love the pieces you all created in your class...so romantic and charming. The years do fly by quickly...you are a very wise mommy in wanting to hold back time and cherishing every minute. Lisa, there are two fabulous people I am hoping to meet face to face at the show and you are one of them! so Jealous- love it, love the table as well- I love music notes- wish i could of been there- and those kiddies are so cute..
Oh Lisa, it would be a dream come true to have you as a teacher. I know it would be a challenge, but I know that you could make an artist out of even me. These women took home of some gorgeous collages. I only know Lori (and her piece is too die for). 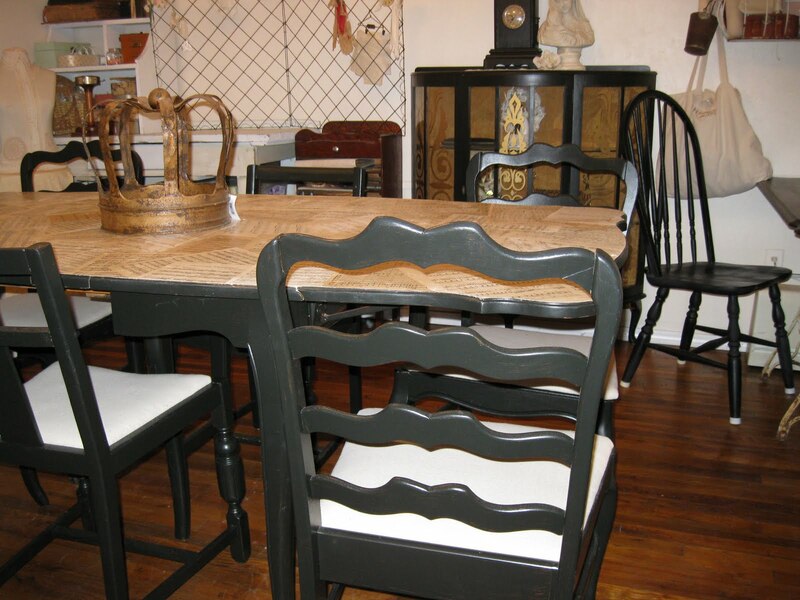 I adore Maureen's beautiful class room too. Gosh...I can't believe how much you inspire me!!!!!!!!! Looks like it was super fun! and hey! I know most of those gals...ohmygosh...everyone's turned out amazing!!!!!! Just Fab. I wanna take a class, but still can't fit into either day...hope you will do another. Link to me.... Grab the code below! 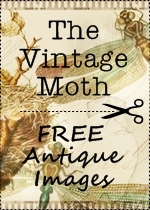 A place to find beauty & inspiration! First & foremost I'm a wife & mother to 7 year old triplets. I keep myself sane by making art & treasure hunting. that is truer than true. that is youer than you! it's about learning how to dance in the rain. When I started blogging I discovered a wonderful world where everyone shared their thoughts, ideas, & creativity. I believe we are all influenced by these images and incorporate them in our own art from time to time and I think that is one of the perks of belonging to this community. In keeping with that theme I encourage anyone to use my images without fear of reprisals, all I ask is that you give me a nod or a mention. As that wise old cricket Jiminy used to say, let your conscience be your guide.